One, two, three – EASY! 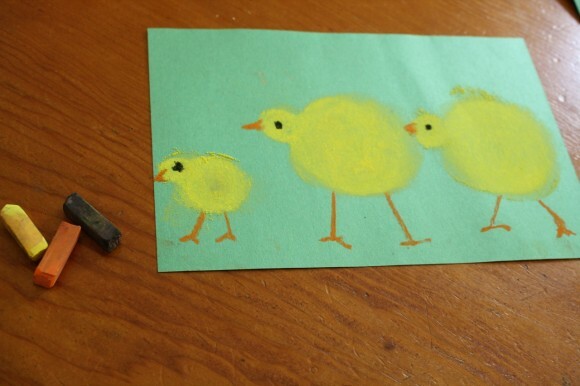 Here is a sweet and simple three little chicks pastel for you and your chicks to enjoy. Nana chose regular, green construction paper and cut it in half. Then three colors: yellow, orange and black. 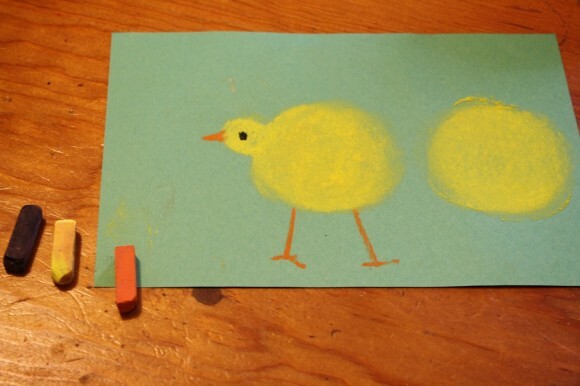 Make a nice, fluffy, round chick body. Use your finger and blend it so your chick looks all cuddly. A little, soft head too. Add legs with orange. A beak too. Then one little black eye. That will do! Now, feel free to make as many chicks as you like. 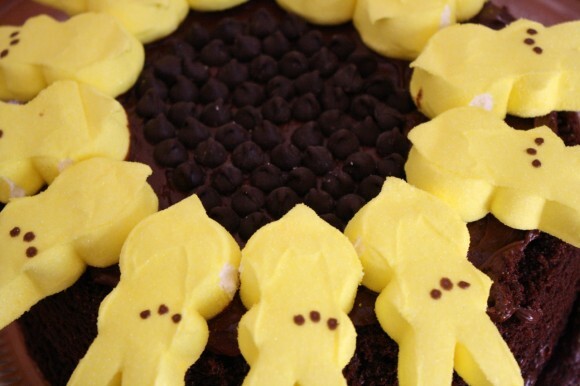 Maybe even a Peeps cake for you and your little peeps 🙂 Click Sunflower Peeps Cake. 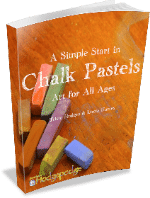 As requested, we put our chalk pastel tutorials in ebook form for you – including video tutorials! Easy to view on a computer, iPad or Kindle. Easy to print. More details here: A Simple Start in Chalk Pastels. 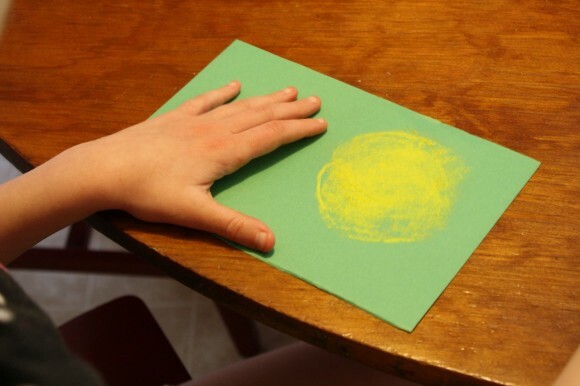 Just add paper and chalk pastels! 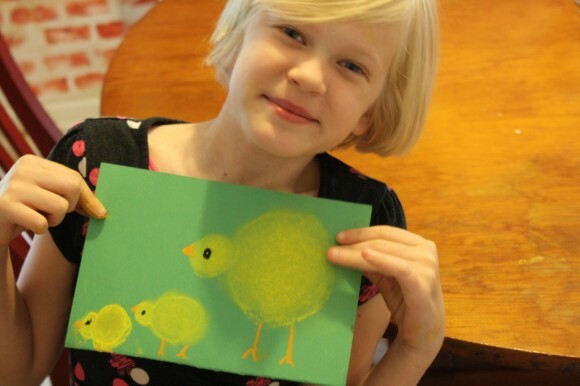 A note on pastels: Pastels are an easy, forgiving medium. Fun for children and adults alike! 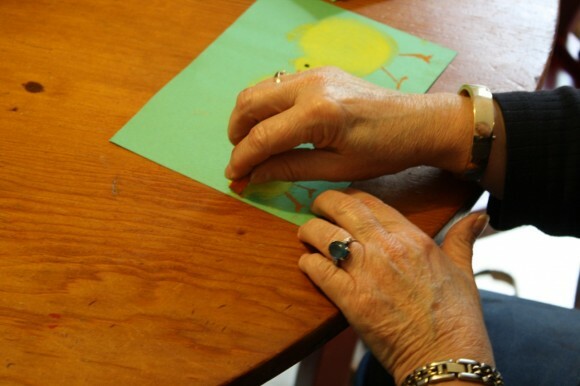 Details on the pastels and paper we use, how and where to purchase, and links to all of Nana’s other pastel lessons are all contained in 100+ Free Art Tutorials for All Ages. 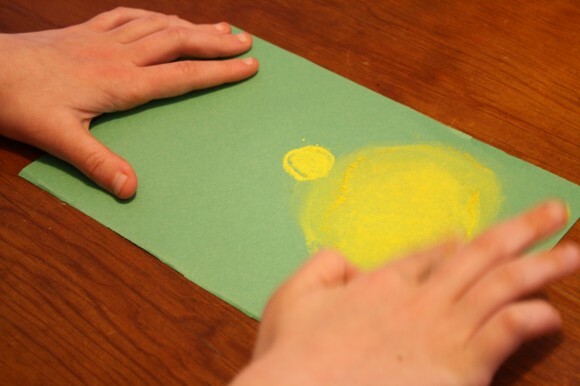 A simple set of chalk pastels is very affordable. We might just do this one this week! That’s adorable! And it looks doable. I just need to get some pastels. I used to love those in art class. That cake looks sweet, too. The bunnies look great! Hmm, I might have to try that! Thank you for sharing! Was sent here by Homeschool Creations. Bought our paper tonight & borrowing the chalk pastels from neice. Now we get to all try our first project! Thank you!